The table below shows the team ratings in NBA 2K14, sorted in descending rank order (strongest to weakest). 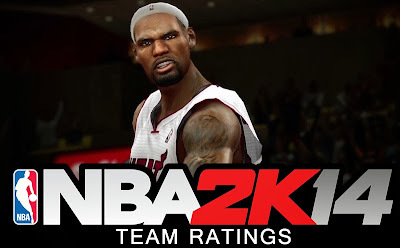 Based on the initial rankings from NBA 2K14, the Heat are still the best team in the game followed by the Spurs. Which teams do you think are overrated or underrated in NBA 2K14? Do you agree that the Utah Jazz are the worst team? Let us know what you think in the comment section below.